For those holidaying on a cruise and wish to get the most out of the time docked at port, we will organise a private driver to meet you as you leave the ship and drive you to Florence where you will meet your private tour guide, one of the Freya’s Florence team. The drivers with whom we collaborate are safe, reliable and puntual.Their cars are clean and new. They will meet as you get off the ship in the morning holding a sign with your name. They will then drive you straight to Florence to meet your guide. 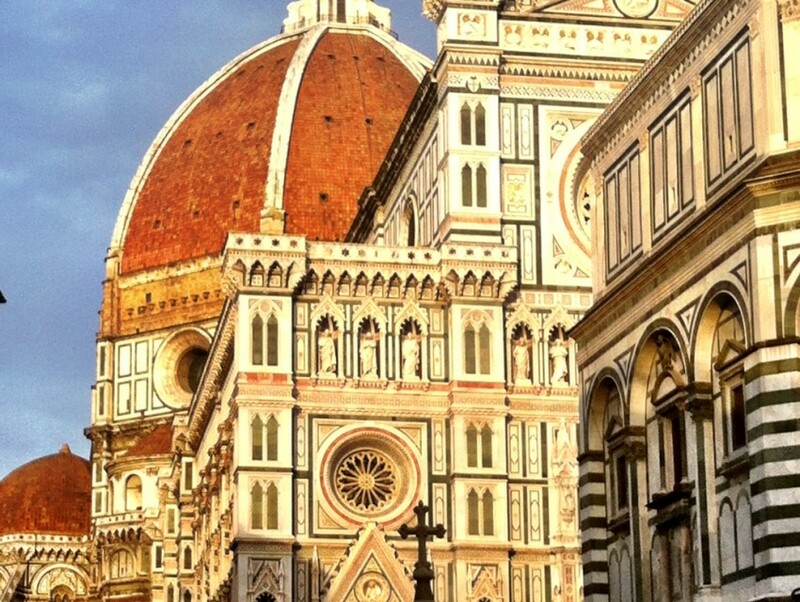 Usually, you will have to leave Florence by 4pm in order to be back at port in time for departure. We include a photo opportunity from piazzale Michelangelo which overlooks the city. Optional supplement: A stop at Pisa for a quick visit of the cathedral square with the cathedral, leaning tower and baptistery. This will mean less time in Florence. There may be a small additional cost. 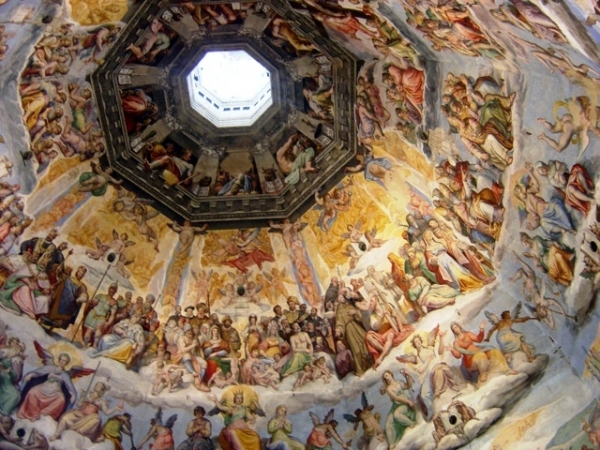 We recommend a 3 or 4 hour tour in Florence visiting some of the important locations in the historical centre (see description of Florence Overture). If you would like to include the Accademia and/or the Uffizi galleries, we will make the necessary ticket reservations ahead of time for your party. If there are any museums or churches you wish to add to the itinerary just let us know, or, if there is a theme that you would like to follow we will plan an itinerary accordingly. We will provide maps and clearly mark your meeting point for the afternoon with the driver. Your driver will meet you as you get off the ship holding a sign with your name. It is important to sent us the ship company name, ship name, your full name and an active contact cell number that you will have with you when in Italy. 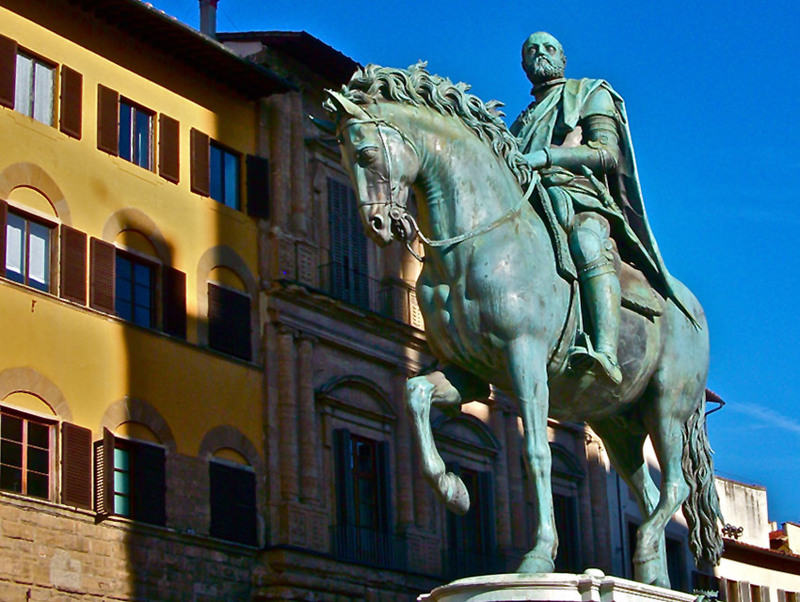 The driver will take you to the meeting place for the guide in the centre of Florence. The driver and guide have each others numbers to communicate any unforeseen changes to the planned program. Most vans are 7 or 8 seater. The cost for the private driver and van for the day (8am-5.30-6pm) is 480euro. If you are a group larger than 8 pax there are two options; option 1 is booking a 16 seater van (price upon request) however, these larger vehicles are not permitted to enter inside the historical centre. 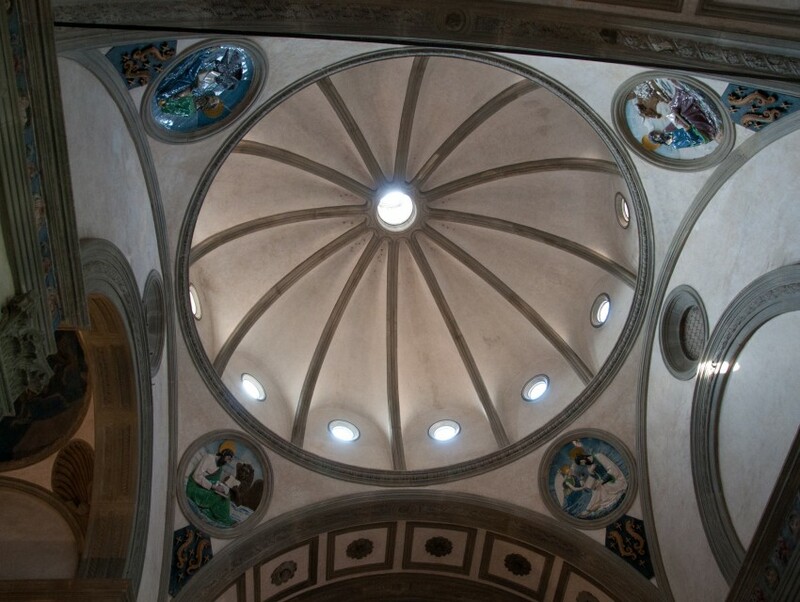 The guide will meet your party just beyond the Santa Maria Novella train station. Option 2, with a group larger than 8pax, is to book two 7 seater vans (480euro each van, as above) so that they are can drive inside the centre. Payment for the driver+van must be paid in advance prior to the tour date. Please note: the prices above are from Livorno port. We organise private transfers from La Spezia also, price upon request. The Uffizi and Accademia galleries require ticket reservations in advance so as to avoid waiting in the very long unreserved queue. The reservations will be made prior to the tour date by Freya’s Florence. In the high season however, there may be an avoidable short wait in the reserved queue due to the busy period. The reservation fee costs 4€ per person paid on the day when picking up the ticket with the guide. If someone booked with your party does not come on the tour, the reservation fee must still be paid. Parties of 10 or more people are required to pay the reservation fee in advance. Groups of 10 or more people will require headsets. 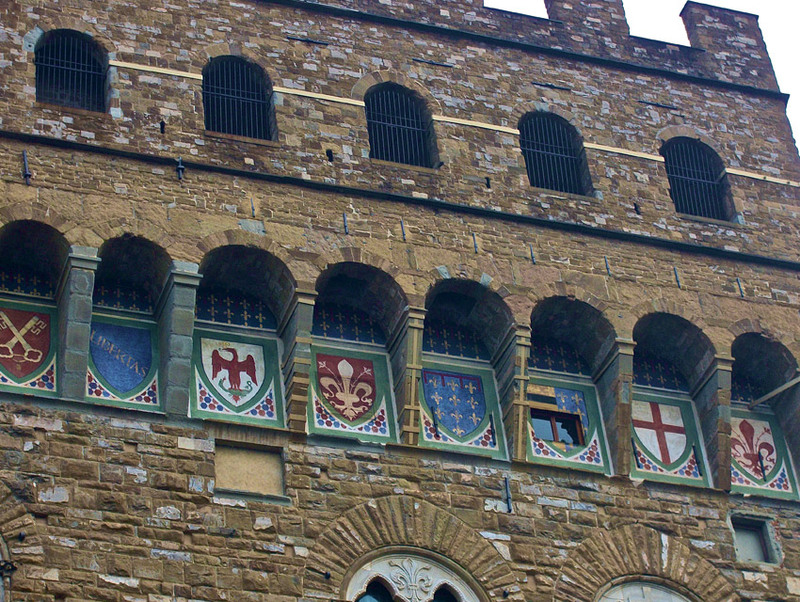 They cost 2.50€ per person for a half day, 5€ for a full day, booked by Freya’s Florence. Payment for the driver and van must be paid in advance. Payment for the tour can be made in cash at the end of the tour directly to the guide, or via PayPal with an additional 5% to cover the PayPal fees. Tours booked within ten days of the date of the tour must be paid in advance by PayPal. Payment for the tickets to the galleries is made on the day with the guide directly to the museum at the ticket office. The galleries accept credit cards. Full price ticket at each gallery costs 16.50€ (ticket 12.50€ + reservation fee 4€). Children from 6-17 years inclusive have free admission but 4€ reservation fee must be paid. Original passport OR a paper or digital copy of passport is required to be shown as proof of age for reductions to the ticket office staff upon ticket purchase. European Union students 18-26 years old are eligible for the reduced ticket, a student card is necessary to show proof of enrolment in an institution. Payment for the tickets can be made by credit card or cash. Please remember that there is a dress code for visiting churches in the summer months, shoulders must be covered and shorts or skirts must be knee length. If you wish to visit the Uffizi or Accademia Galleries as part of your tour, please remember that the galleries are closed on Mondays and it is not possible to make a reservation to avoid the long lines on the first Sunday of the month.